This is a view from the rear work area through a small walk through to the front seats. 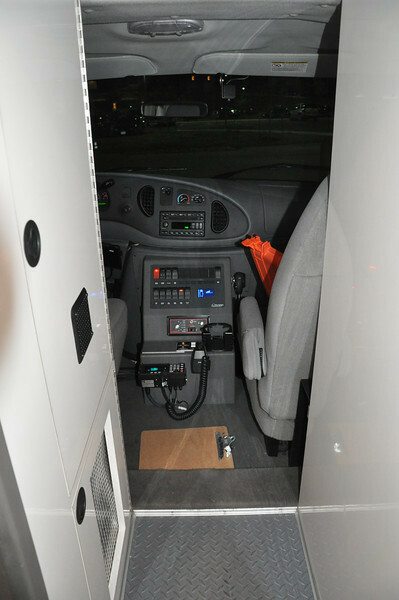 The control panel operates the emergency lights, starts the generator and the master switch for the power in the work area is all located on the panel. The switch I for the aux battery is also located on this panel.